As I have written in previous entry, I am currently working on a monograph on Celtic Myth in Contemporary Children’s Fantasy for the Palgrave Macmillan Critical Approaches to Children’s Literature series. I have, therefore, been reading and re-reading primary and secondary materials related to the works and creative processes of Alan Garner, Susan Cooper, Lloyd Alexander, Pat O’Shea, Mary Tannen, Jenny Nimmo, Kate Thompson and many other writers who were inspired by Welsh and Irish medieval texts. A book that I managed to get hold of recently (thank God for libraries and inter-library loans!) is Innocence and Experience: Essays and Conversations on Children’s Literature, edited by Barbara Harrison and Gregory Maguire and published in 1983. This book – which I haven’t seen cited in children’s literature scholarship as much as it deserves – is a compilation of lectures, panel discussions, informal remarks and such-like reflections from novelists, illustrators, critics, publishers, librarians, and educators who took part in events organized by the Center for the Study of Children’s Literature at Simmons College, Boston in the 1970s and 1980s. The list of contributors includes Penelope Lively, Lloyd Alexander, Susan Cooper, Alan Garner, Maurice Sendak, Nancy Bond, and many others. Any student of Tolkien reading this will have made the link already. This extract couldn’t help but bring back to my mind Tolkien’s words on this most mysterious and enigmatic notion he refers to in “On Fairy-Stories”, the idea of “Faërian Drama”. The Tolkienian point of interest is unmissable here too. Tolkien famously talked about his “Atlantis complex” (Tolkien, 1981, p. 213), a recurring dream throughout his life of a great wave, flooding and engulfing everything around him, which he eventually turned into a new version of the Atlantis myth in the story of Númenor. 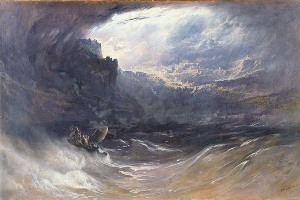 Cooper’s underwater Lost Land ties the classical tradition of Atlantis with the submerging of Cantre’r Gwaelod (‘the low/bottom cantref’), as referenced in Boddi Maes Gwyddneu (‘The drowning of Gwyddno’s plain’), a 12th-century Welsh poem in the Black Book of Carmarthen (the tale of this underwater land survived in later Welsh folklore). Fantasy as a waking dream-performance, archetypical images of submerged lands, and – perhaps most importantly – a desire to self-reflect and self-theorize the fantasy writing process. Do my two little extracts point – perhaps in a very small way – to some common elements in the practice and thematics of writing fantasy? We know that Susan Cooper studied English at Oxford, via the syllabus Tolkien and C.S. Lewis devised and has written about reading The Lord of the Rings with excitement when it was first published, and finding that it was “full of echoes of the Anglo-Saxon, Norse, and Icelandic literature we were studying ” (Copper, 2002, p. 143). As noted above, I have also discussed parallels between Tolkien’s self-theorizing in “On Fairy-Stories” and the reflective essays of Susan Cooper, Alan Garner, Diana Wynne Jones and Ursula K. Le Guin (Fimi, 2014). The funny thing about Cooper’s essay “Nahum Tarune’s Book” is that I had read it before! As I was nearing its end, I kept getting those strange feelings of dejavu – a sensation that I had heard all these ideas a long time ago. And I plainly had! The essay was reprinted in Dreams and Wishes (1996), Cooper’s reflections on her own art, a book I had read many years ago. It’s strange how the mind works and how links and parallels sometimes immediately leap off the page, but other times do not. But those are the pleasures of research. I hope that – at least – this little story sings the praises of re-reading – revisiting primary and secondary sources with a fresh eye and a new lens. * Janet Brennan Croft (2014) has explored the potential origins of Tolkien’s cryptic “Faërian Drama” pointing to Middle English texts such as Pearl and Sir Gawain and the Green Knight, as well as Charles Dickens’ A Christmas Carol (her article is available to read here). I also understand that Dr Kelley M. Wickham-Crowley has a forthcoming article in Tolkien Studies entitled: “‘Mind to Mind’: Tolkien’s Faerian Drama and Sir Orfeo”, which I am really looking forward to reading. 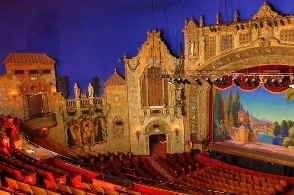 ** Another point of difference is Cooper’s reverence for the theatre and its potential to create a fantasy world, and Tolkien’s apparent rejection of drama as a form capable of producing the ‘secondary belief’ necessary for fantasy (see Tolkien, 2008, pp. 61-2). That didn’t stop him, though, from being completely enchanted by Peter Pan which he saw on the stage on April 1910 (see Fimi, 2005). He wrote in his diary after watching it: “Indescribable but shall never forget it as long as I live. Wish E.[dith] had been with me” (Carpenter 1977, pp. 47-8). Carpenter, Humphrey (2007) J.R.R. Tolkien: A Biography. London: Allen & Unwin. Cooper, Susan (1987) ‘Nahum Tarune’s Book’, in Harrison, B. and Maguire, G. (eds) Innocence and Experience: Essays and Conversations on Children’s Literature. New York: Lothrop, Lee and Shepard, pp. 76-85.
Cooper, Susan (1996) Dreams and Wishes: Essays on Writing for Children. New York: Margaret K. McElderry Books. Cooper, Susan (2002) ‘There and Back Again: Tolkien Reconsidered’, The Horn Book Magazine, March/April, pp. 143-50. Fimi, D. (2013) ‘Later Fantasy Fiction’, in Lee, S. (ed.) A Companion to J. R. R. Tolkien. Oxford: Blackwell, pp. 335-49. 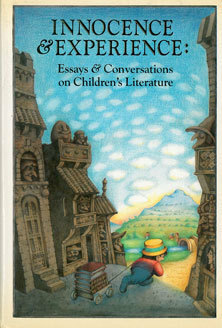 Harrison, B. and Maguire, G. (eds) (1987) Innocence and Experience: Essays and Conversations on Children’s Literature. New York: Lothrop, Lee and Shepard. Tolkien, J.R.R. (1981) The Letters of J.R.R. Tolkien, edited by Humphrey Carpenter with the assistance of Christopher Tolkien. London: George Allen & Unwin. The parallels are quite striking. Any idea of whether Cooper knew On Fairy-stories? Yes, definitely! In her essay “Fantasy in the Real World” (collected in Dreams and Wishes) Cooper says: “No wonder Tolkien called storytelling ‘sub-creation'” (p. 58) and that’s a term that comes straight out of “On Fairy-Stories” (the first version of which was published in 1947 in Essays Presented to Charles Williams). But what I find fascinating here is that it’s her childhood memories that chime with Tolkien’s “Faërian Drama” and, of course, they shared a sort of childhood memory/vision with Atlantis.